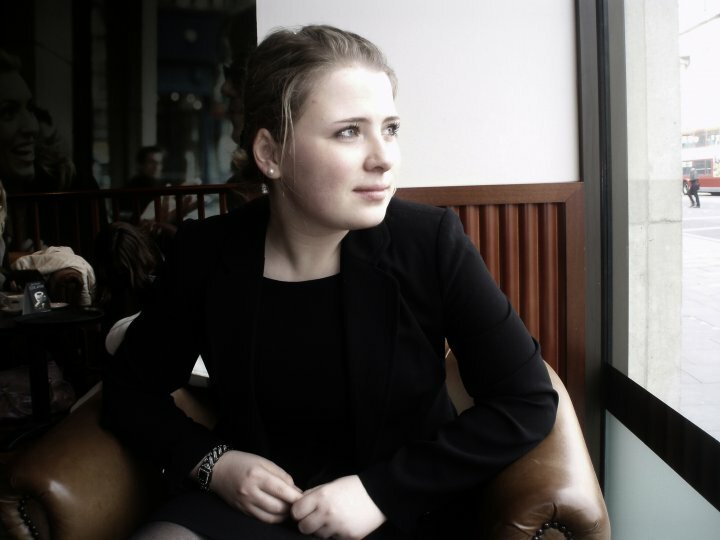 Julia Babahina, MRG’s former Fundraising Intern who was born into a Russian family from Latvia, reports from a very personal perspective on the current situation of the Russian minority in her country. 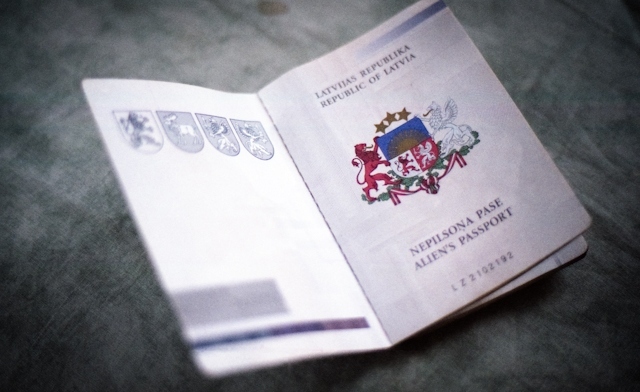 Almost a third of Latvian Russians are given non-citizen/alien status, which has drawn widespread criticism from international organisations. 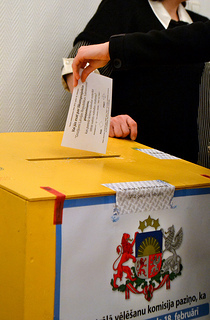 The rejection of a referendum in February 2012 to amend the Latvian Constitution to include Russian as an official language proved once again the ethnic split in the country. Latvia’s citizenship policy, which assigns almost a third of Latvian Russians non-citizen/alien status, prohibits non-citizens from taking part in many aspects of society, such as seeking employment, travelling abroad, or voting during national elections. Even though the Latvian government ratified the Framework Convention for the Protection of National Minorities on 6 June 2005, there is still a considerable part of the Russian population who cannot freely participate in Latvian economic, political and cultural life. 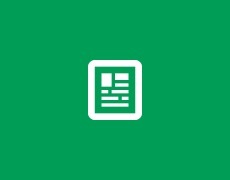 The policy has been severely criticised by the Council of Europe, the United Nations Human Rights Council (UNHRC) and the Organization for Security and Cooperation in Europe (OSCE). Knut Vollebekk, OSCE’s High Commissioner for National Minorities, recently said that all children of non-citizens who were born after Latvia’s independence from the Soviet Union in 1991, must be granted citizenship automatically. Being born into a Russian family from Latvia myself, I have been granted citizenship through my father, whereas my mother was a non-citizen until 2006. My uncle and my grandmother are still non-citizens. I asked my grandmother how it feels. Though all the members of my family were born in Latvia and have lived there for most of their lives, they have no right to vote or work in many state-employed organisations and often have trouble crossing the border. For many Russians in Latvia it is a matter of principle not to apply for citizenship as they think it is absurd given the fact they were born in the country. Tatjana Zdanoka, one of Latvia’s nine members of the European Parliament and a Latvian Russian, argues that if the Russian community is under-represented in society it is discriminated against, and has urged the international community to support Baltic Russians to claim their rights. Thanks to Zdanoka’s and others’ hard work, in 2007 non-citizens were allowed to benefit from the Schengen Agreement. On May 2011, 122 recommendations were made to Latvia during the Universal Periodic Review (UPR) at the UNHRC in Geneva. The Latvian government rejected seven of these recommendations, including Russia’s recommendation to eliminate the system of non-citizenship. Russia claimed that Latvia’s refusal proved that it does not recognise the severe human rights problem in the country and stated that it violated international human rights law. The Ministry of Foreign Affairs of Latvia replied that Latvia meets its international obligations in terms of minority rights and held that the non-citizen system is purely an internal affair. The Russian government then suggested Latvia accept the human rights recommendations laid out during the UPR so that the call for a referendum, initiated by the Russian speakers’ movement in February 2012 to make Russian language a second official language, would be avoided. The referendum was an unsurprising consequence of people’s dissatisfaction with minority rights in Latvia. Even though 75 per cent of citizens voted against introducing Russian as an official language, it showed the existence of an ethnic divide in Latvian society. According to Rita Izsak, the UN independent expert on minority issues, the referendum did not prove the superiority of one community over another, but demonstrated that the Latvian government should bring the two communities together and assist them in overcoming fear, mistrust and historical prejudices. However, Latvian nationalists claimed that the referendum was Russia’s attempt to weaken Latvia’s independence. Today, when Latvian integration issues threaten to polarise the country even further along political and ethnic lines, it is time for the Latvian government to realise that the country’s ethnic diversity does not weaken, but strengthens the country. Latvian integration policies should bring Latvians and Latvian Russians together for a brighter future. In order to make the perspective on this issue more objective, let me give an update on recent events, as well as add some more facts and my ‘Latvian Latvian’ view. First of all, this week Ministry of Justice together with experts of law, after long enquiry, issued a report concluding that granting citizenship to all noncitizens would be against the Constitution of Latvia which was first adopted in 1922 and fully reinforced in 1993. Also, I have to note that by the latest data only 17,5% of all noncitizens speak Latvian. Thus, as PM said, it would undermine the statehood. Thirdly, on the point you made about Russia claiming severe human rights problems in Latvia. Hmm… What about Russia’s own human rights record? What about Putin’s ‘democracy’ (or was it Medvedev? Their swapping makes me confused… 😀 ) and suppressed opposition? What about freedom of speech and killed journalists? I believe that we all have heard that Russia plays this Baltic Russian thing every time EU criticizes its human rights issues. And not because they particularly care, but because its politics. Thus, in this case I don’t think one can objectively consider Russian opinion on this issue. Fourthly, what concerns Tatjana Zdanoka (Latvian Russian) and her opinion that Russian community is under-represented in society. I have to ask- where exactly?!? You have Russian schools, you can have most of the public services in Russian, there are higher education programmes in Russian, you have Russian party (Saskaņas centrs) in parliament and even the current mayor of Riga is from the same Russian party!!! With regard to Mrs Zdanoka you forgot to mention in your article that she is prohibited from being nominated to Latvian Parliament or local councils under Latvian law due to her former allegiance with the Communist Party of Latvia after January 1991 and opposition to Latvia’s independence from the Soviet Union. Thus, she is (similarly with Alfrēds Rubiks) in the peculiar position of being restricted to European Parliament elections. Therefore, knowing her former and probably continuing affiliations with Russia I doubt one can take her opinion as neutral and objective. Fifthly and finally, there is an answer to this issue- NATURALIZATION! If your grandmother feels so heartbroken and alienated why don’t you, as a loving granddaughter and citizen, help her to learn Latvian, so that she can feel accepted? Naturalization programme has been there right from beginning. All what is needed to become a citizen is to pass Latvian language test and show a bit of loyalty to your country. And, I’m sorry but in your last paragraph you’ve written ‘Latvian integration issues threaten to polarise the country…’ Is it really Latvians now who have to integrate in Latvia?!?!? Yes, the government integration policy has not been perfect, in fact I think we have given to our Russian minority too many rights, freedoms and exceptions and as it now shows it has not stimulated them to learn Latvian and become citizens or to be loyal to the country they’ve chosen. How can otherwise explain the fact that there are people in Latvia who have lived there for 20 years and still have not learned the language? Or the fact that they decide to organise referendum for another official language or for an automatic citizenship for all noncitizens? To me it feels disrespectful and I’m deeply saddened. At the end of the day integration is not just a passport or citizenship. My dear Latvian-Latvian friend, Thank you for your “generous”, “humane” and “tolerant” attitude towards Latvian -Russians. How about we swap places and deprive you and your Latvian-Latvian majority of the same basic rights. Let’s remove native Latvian’s right to vote, serve in public jobs, reduce Latvian schools, remove Latvian language from public display etc.,,,and then we offer you, your parents and grandparents rigorous naturalization program, introduce language inspections….. Since you believe the current situation is perfectly fine for Russian-minority surely you wouldn’t mind to get into “same shoes” yourself? According to you Russian “have too many rights” therefore you should be very comfortable in such a “favourable” position. Your fundamental problem is arrogance driven by a blind believe in ethnic Latvian superiority. Indeed, following this logic, a superior/dominant ethnic group should enjoy higher privileges than the Russian subclass. In light of such fixation Russian’s indeed have far “too many rights”. Now just pause for a second. Does it remind you something? Perhaps ideas out of “Mine Kampf” as a recent example? Before publishing any condescending “too many rights” comments just ponder over the matter for a second. How would you feel if the same legislation introduced for your beloved Latvian-Latvian folks, your relatives and children? Something tells me you might not be as enthusiastic posting your “civilized and tolerant” opinion. The condition of the Latvian Russians seems no different than that of the dalits of India. Only difference is that the Dalits have every legal status that the latvian russians do not have yet they live at a sub-human level because they are discriminated by the country’s social order – caste system- that accords them sub-human status in all areas of life. So legal guarantees are are no guarantees at all if society itself is heading in the opposite direction! ok so i dont know what to do i am a russian and my family is russian but i was born in riga latvia i have an alien passport that has expired i have lived in the united states since 1995 i have a husband and children who are united states citizens, what can i do to fix my passport so i can visit my family?